Your air ducts are probably the last thing you think about when cleaning your home - but, it’s one of the most essential! Over time, dust, dirt, and debris build up in your heating and cooling system and begin to collect around your air ducts. While a thorough air duct cleaning may not necessarily improve your health, it certainly will improve the efficiency of your HVAC system. Although, in some cases, enough debris collects on the outside of your ducts to flow into the home. If you’ve been itching your nose often lately, it could mean it’s time for a good cleaning! If you notice dust collecting on your vents, you may be inclined to clean them yourself. While this will temporarily remove the visible dust, it’s not going to prevent it from quickly forming again. Since majority of the dust and debris actually comes from the buildup throughout your entire system, a professional cleaning is the best way to cover every inch. Dirt, Dust, and Debris Aren’t the Only Things You’ll Find! If there’s moisture collecting around your system, you may notice mold or mildew beginning to form. While it may not necessarily pose a health risk at first, when the spores have spread throughout the ductwork it can begin spread throughout the entire home. Most people who have sensitivities to mold experience symptoms similar to seasonal allergies, so you may not even know it’s actually your ductwork! 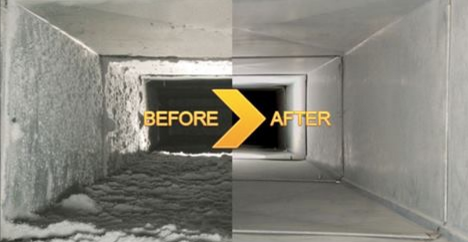 So, When Should You Get Your Air Ducts Clean? Typically, your air ducts should be cleaned every few years - but don’t forget to regularly change your filter. Depending on how long you’ve resided in your home, if your last cleaning was more than 5 years ago - it’s definitely time for a thorough cleaning. Get all of that gunk out of the way and improve the efficiency of your HVAC system - don’t hesitate to call us here at The Steam Team today!